A lot of text in a presentation can easily become monotonous for your audience. Therefore, it’s useful to present that information in visually appealing ways, or to break it up into smaller bits that are a little easier to digest. One way to do this is by using bullet points in your slides. Fortunately Google Slides lets you add bullet points to text boxes. 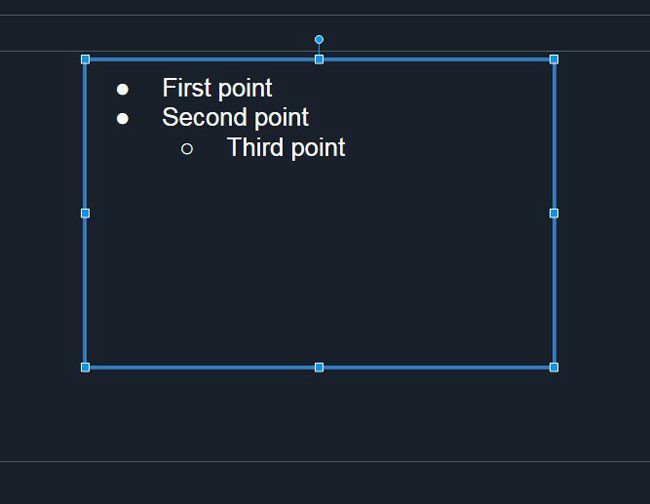 There are a couple of different styles of bullet points, so you can use the option that best meets your needs. The steps in this article were performed in the desktop version of Google Chrome, but will work in other desktop Web browsers as well. 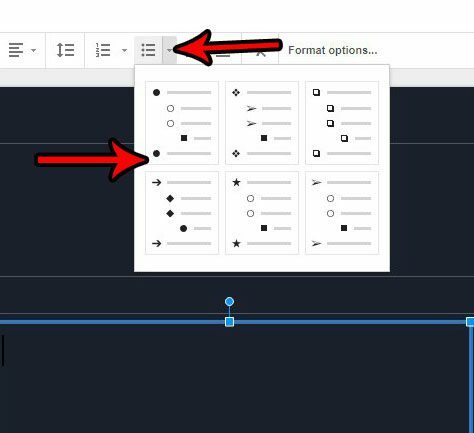 Once you complete the steps in this guide you will have added bullet points to a text box in one of your slides. Step 1: Navigate to your Google Drive at https://drive.google.com and sign into your Google account if you aren’t already signed in. 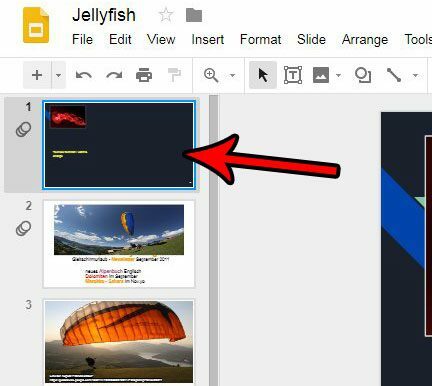 Step 2: Open the Google Slides presentation to which you wish to add bullet points, or click the New button at the top-left and choose Google Slides to create a new presentation. Step 3: Select the slide in the left column to which you wish to add bullet points. Step 4: Click the Text Box button in the toolbar. 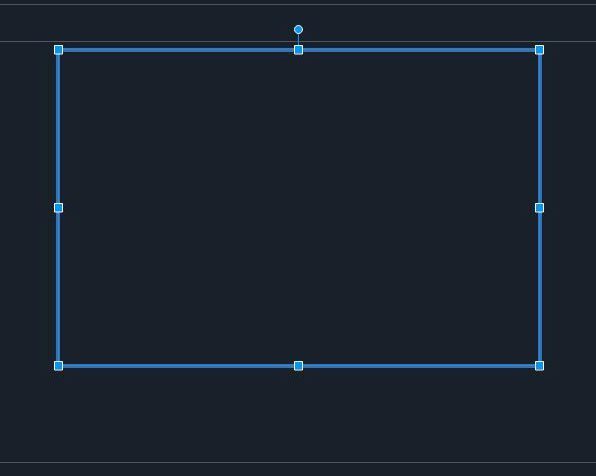 Step 5: Click and hold at the point in the slide where you want the text, then drag your cursor to create the text box. Step 6: Click the arrow to the right of the Bulleted list button in the toolbar, then choose the type of bulleted list you want to use. 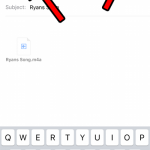 Step 7: Type the first bullet point item, then press Enter on your keyboard to create a new item. 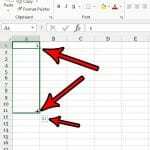 You can create a second level of bullet points by pressing the Tab key at the beginning of the line. Would you like to include a Youtube video in your presentation? 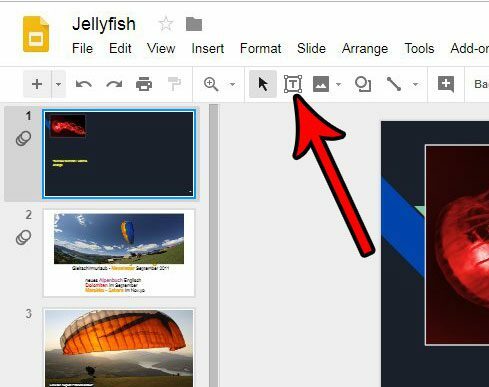 Find out how to insert videos into a slide in Google Slides and embed videos from Youtube. 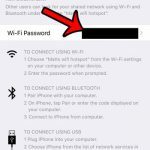 Where Is My Hotspot Password on My iPhone 6?